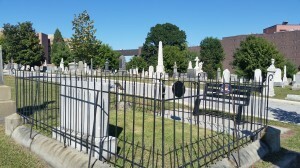 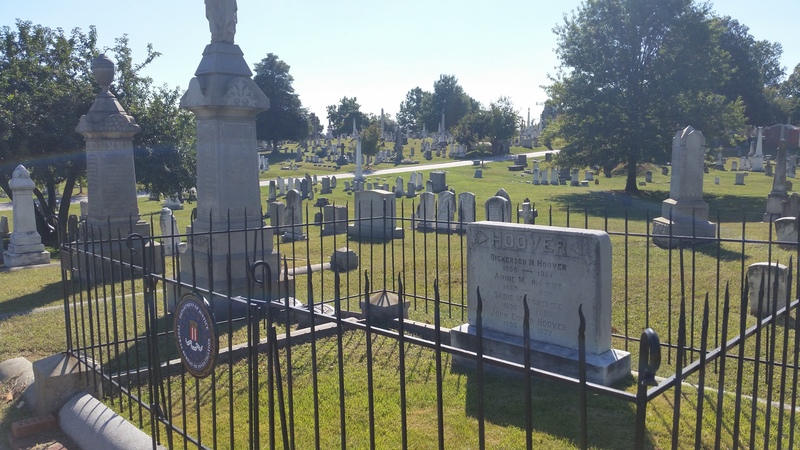 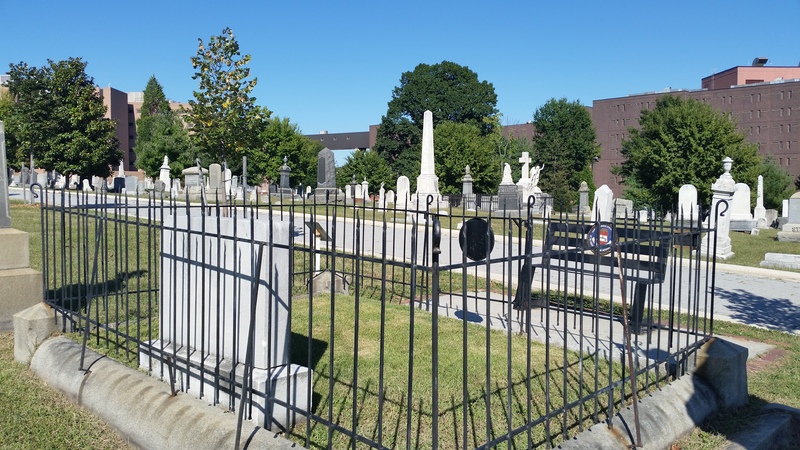 John Edgar Hoover, former head of the Federal Bureau of Investigation is buried in Congressional Cemetery near his family’s plot at site R20/117. 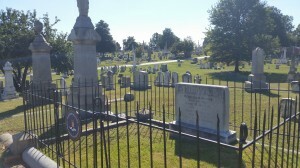 He died on May 2, 1972. 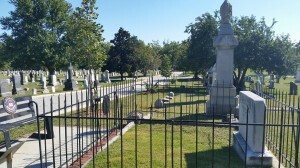 There is a fence and a bench that carry the FBI seal that were donated by former FBI agents. 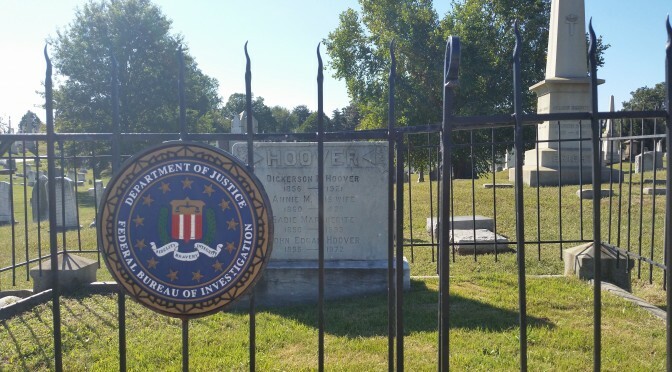 J. Edgar Hoover was born on New Year’s Day 1895 in Washington, D.C., grew up near the Eastern Market, went to Central High, and went to George Washington University for college.